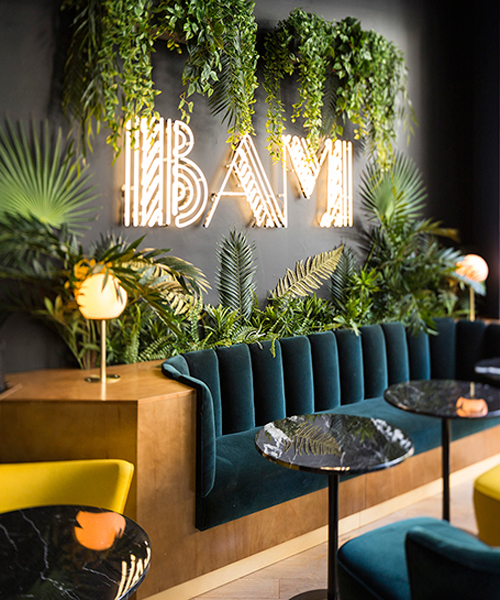 michael malapert is a french interior designer and architect that, since founding his own studio in 2005, has developed projects as architectural narratives, using many elements to create a cohesive interior. 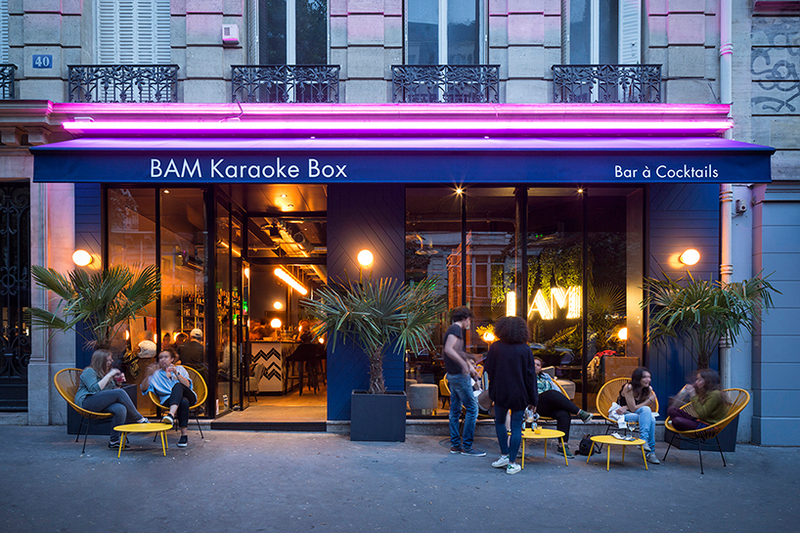 michael malapert’s ‘BAM karaoke box parmentier’ has unfolded a miami tropical festive artsy universe at the heart of the 11th arrondissement of paris. 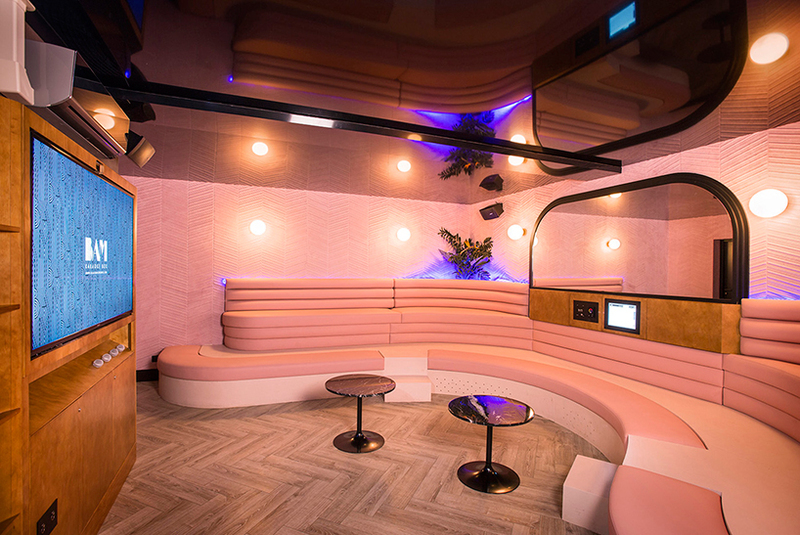 opening its doors in june 2017, the art deco-inspired venue has a large and luminous cocktail bar, as well as 9 private karaoke rooms each offering a unique ambience. 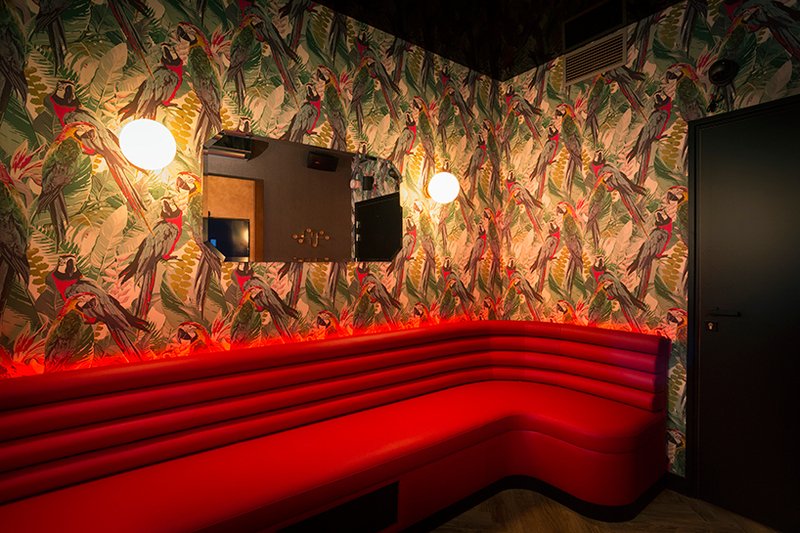 the bar is thought to be a walk in the midst of lush vegetation and between neons of the acclaimed ‘ocean drive’. 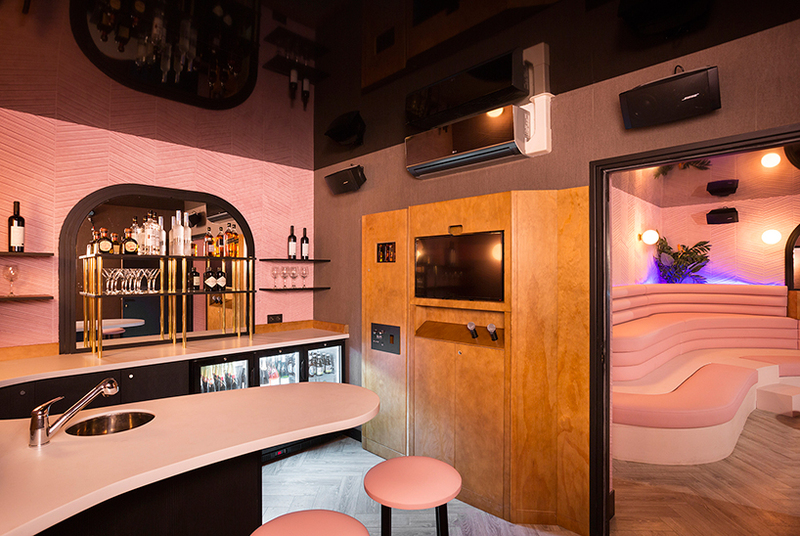 each karaoke box is identifiable by the neon lights that give clues about the theme of the room. 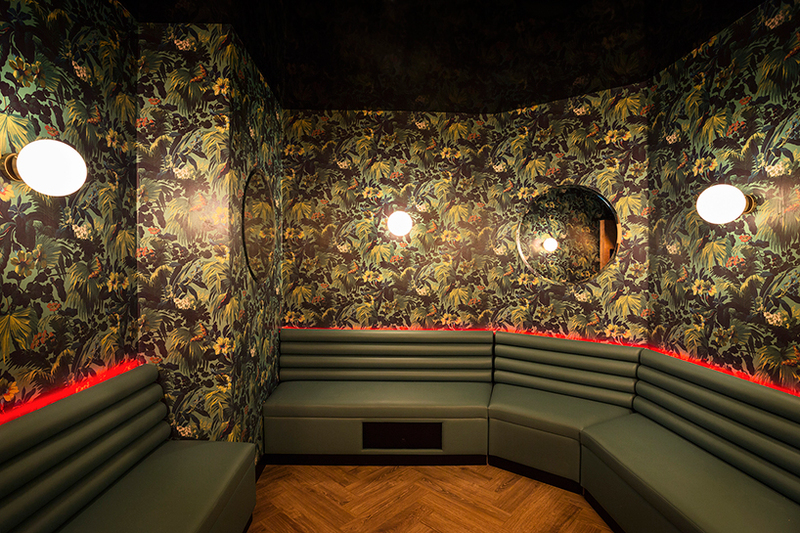 french based michael malapert‘s approach for the interior architecture is inspired by the art deco style. 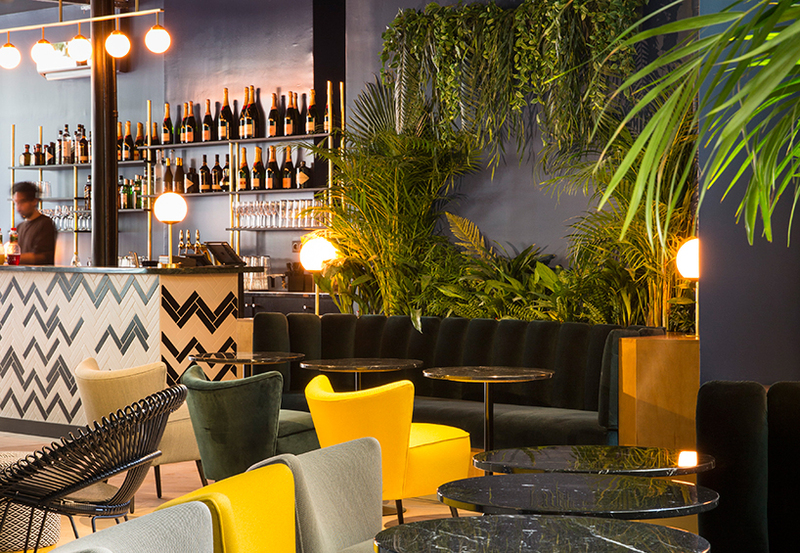 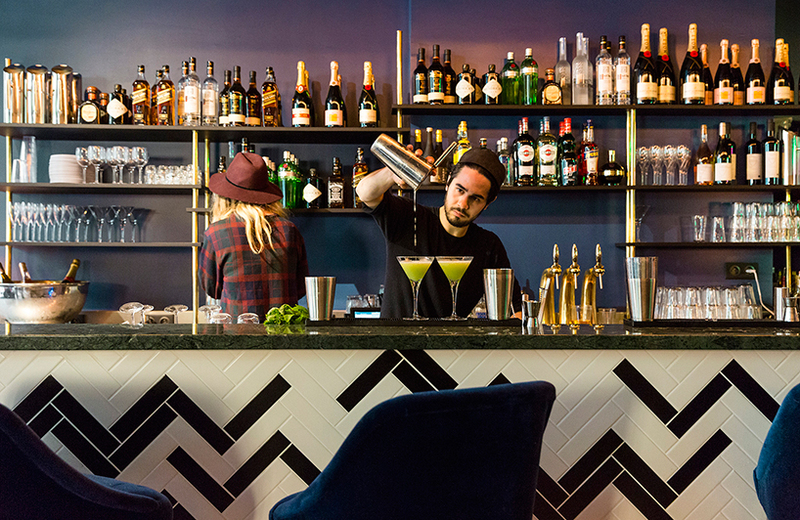 many black marble tables and green velvet banquettes are perfect for enjoying the original and refreshing cocktails of the menu. 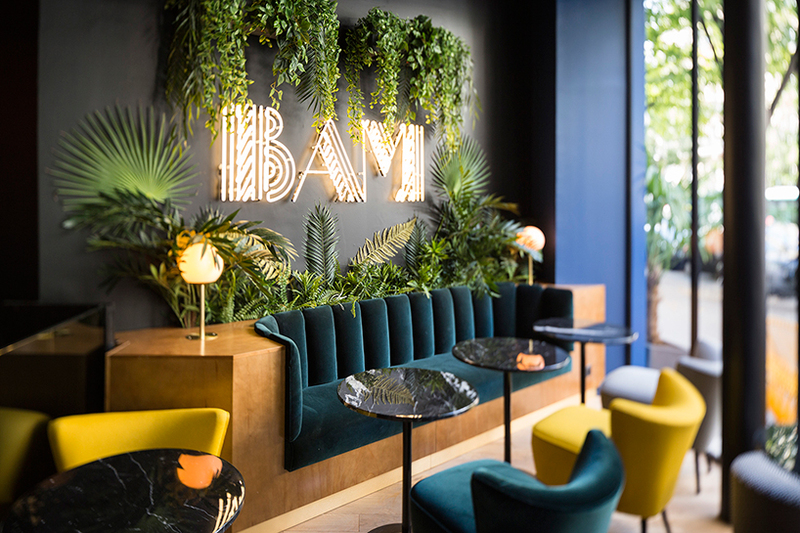 the key to success relies upon: high-end equipment in all rooms, a huge international catalog regularly updated (15 000 titles), a careful design and privacy preserved thanks to perfect soundproofing. 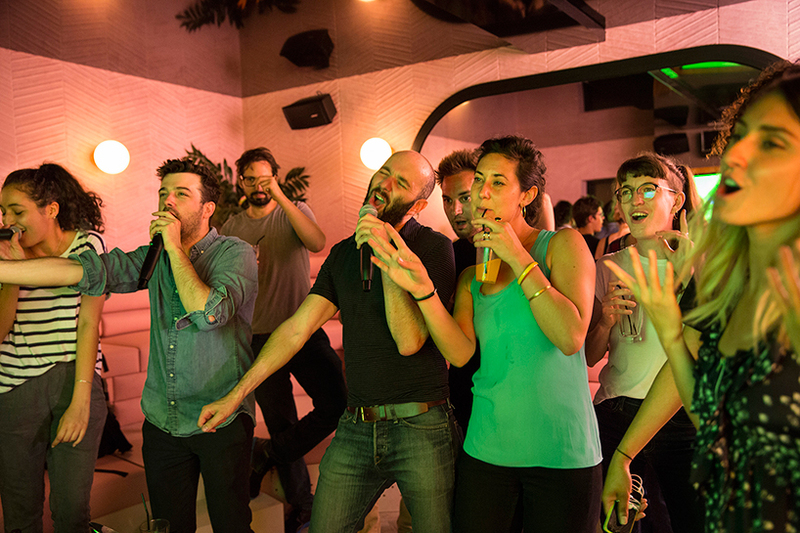 all of these features make ‘BAM karaoke box’ a unique experience during a couple of hours with friends, colleagues or with family in the salons with capacity from 6 to 30 people.